-The growth in passenger cars would be primarily fueled by the Top 3 OEM’s – namely Maruti, Hyundai and Honda. -Hyundai will emerge as the OEM with the highest growth this CY. Hyundai’s entry into SUV space (through Creta) has proved to be the catalyst to this growth. -Maruti will maintain its dominance by a huge margin and would end at a Market Share of over 48%. The introduction of Nexa models has proven to be positive and we foresee stronger performance ahead. -The state of affairs at the Top 3 losers (GM, Fiat and Nissan) looks worrisome. 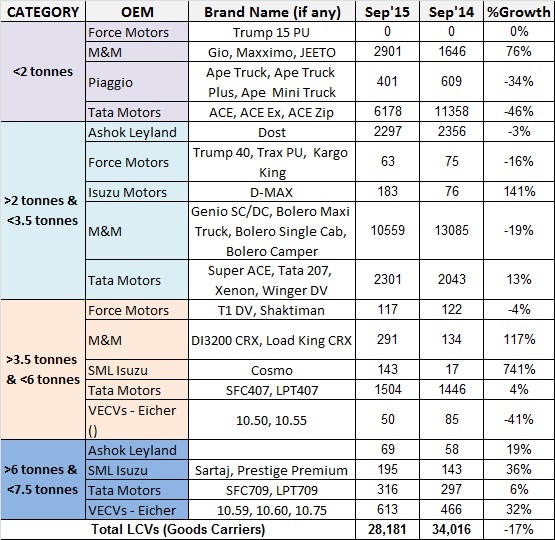 These OEM’s will have to do something radical in CY16 to avoid further slump. We have already presented our recommendations for GM here. -VW to have a tougher time in next CY – can the German auto major avoid the downfall? Only time will tell. -Mahindra did gain some ground with TUV 300, however the overall sales haven’t been encoraging for this Indian MNC. 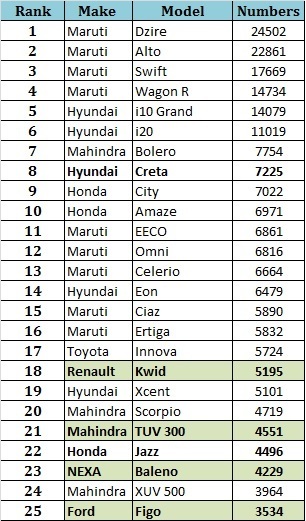 With KUV100, the tables can turn very soon and put the OEM back to No.3! Bike Taxi: The next commuter/transportation revolution in India? Prologue: I landed at Bangalore airport and had an urgent meeting at Hosur Road scheduled in next 2 hours. And I get to experience the infamous Bangalore traffic and arrived at the meeting venue only after 3 hours (all thanks to major traffic junctions such as Hebbal, Manyata Tech Park, KR Puram, Marathalli, Silk Board etc). I lose a major deal and the effort of my visit to Bangalore was nullified. The above situation is not only a reality for Bangalore, but for almost all metropolitan cities in India. While the taxi hailing apps have found tremendous acceptance, a gap is yet to be filled. Even though cabs provide the luxury of being chauffer driven and carrying luggage around; time is something that it can’t substitute.As a resident of Bangalore, I can very confidently say that ‘Two wheelers are the fastest mode of transportation in the city’. The age of Bikes being used as commercial taxi is now here. There is definitely a latent need and has yet to be realized by service providers in the sub-continent. Indonesia can be cited as the most suitable where bike taxis have flourished and start-ups providing the service have grown multifold. The best example for flourishing bike taxi startup can be Go-Jek and GrabBike. Both combined already have over 80,000 registered bike taxi riders in South East Asia! Time-saver : Yes, Time is one of the most important factor in today’s transportation! Last mile connectivity: There is no place that can’t be reached in a 2-wheeler. Chauffer-driven Bike: Can save you from the hassles of riding in strenuous traffic conditions. One would save over Rs.130 on a 10km travel in a Bike Taxi vis-a-vis a cab ride. PS: The Bike Taxi fares are calculated using the fares announced by recently formed Indian startup named Baxi. While similar startups are seeded in Delhi/NCR, the current Motor Vehicles Act is not encouraging similar businesses at other cities. With minor amendments in the Act, we expect the trend to catch the fancy of the Indian traveler and predict multi-fold growth in the acceptance of service. Motor Vehicle Act: Lack of licensing pushed companies such as “Bikees” and “HeyTaxi” to reconsider their business operations. 3-wheelers / Autos: Auto Rickshaws already claim to provide the benefits of low-cost transportation and seems to be a safer alternative to bikes. We at Management Punditz think that Baxi and M-Taxi have taken steps in the right direction and expect radical evolution in the way people would commute in Bike Taxis. Will they be as disruptive as Olas and Ubers? – only time will tell. November was quite an interesting month for the Automobile Industry. 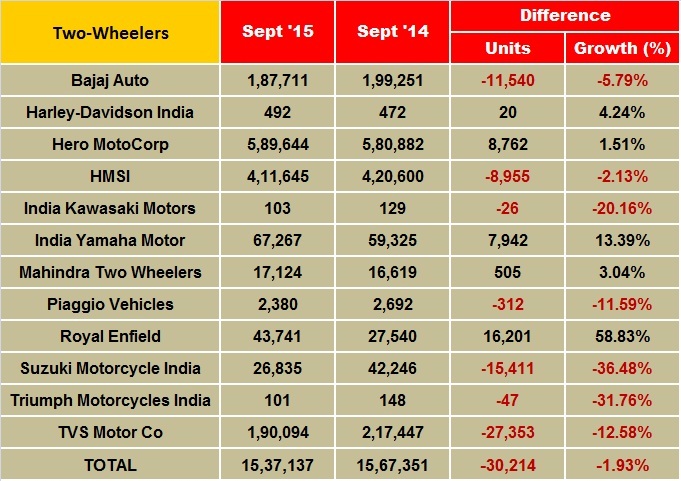 While the biggies (Maruti, Hyundai, M&M etc) posted growth, Toyota, Tata, Honda, VW and Fiat experienced a drop. However, the industry grew to ~11% in Nov’15 compared to Nov’14. – Maruti proved again why it is the Big Daddy of the Indian Automotive Space. It has put everything to shape up the new Channel – Nexa. While Nexa experienced initial struggle in building equity through S-Cross; Baleno has made a significant impact by jumping to the 7th best selling car in India! However, the Numero Uno car maker couldn’t sustain Swift’s volumes and the cannibalization seemed inevitable. – Alto again pipped Dzire to stand on top of the table. The entry hatch segment as a whole has proved to be interesting. While Alto continues its dominance; Eon and Kwid are performing equally impressive as well. The baby Renault (Kwid) has set a new benchmark in the segment and has renewed the Indian consumers interest in the segment which was slowly losing steam. Hyundai’s approach is also appreciable – all efforts aligned by the Korean major to avoid losing Eon numbers to Kwid. – While Baleno was raking the moolah, Grand i10 did the impossible (or was it?) – It overtook the segment leader by a margin (>1000 units!). Hyundai Grand i10 exceeded Swift’s volumes for the first time since its launch! Also interesting to see i20 volumes being untouched even with Baleno’s success. – Mahindra is trying to jump into shape through TUV. The picture seems positive as of now – M&M places itself 3rd in the OEM table. However, the sales of mentioned brands is a big question mark – Quanto (2), Rexton (4), Vibe (47) and Verito (174). 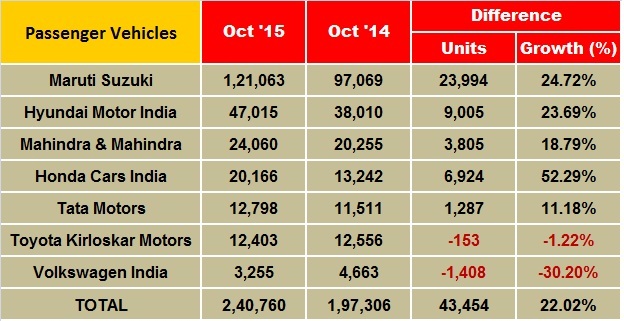 Honda’s sales statistics again startles us – Jazz volumes lower than Amaze? 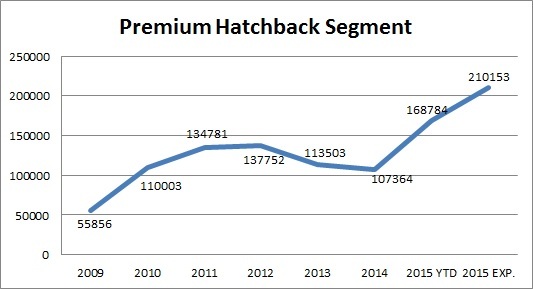 The premium hatchback space has seen a turnaround – but Jazz numbers indicate that it is slowly losing steam? Also worrisome for Honda is Mobilio’s volumes – 89% de-growth! (as a matter of fact, Mobilio’s numbers has been lower than Lodgy as well). 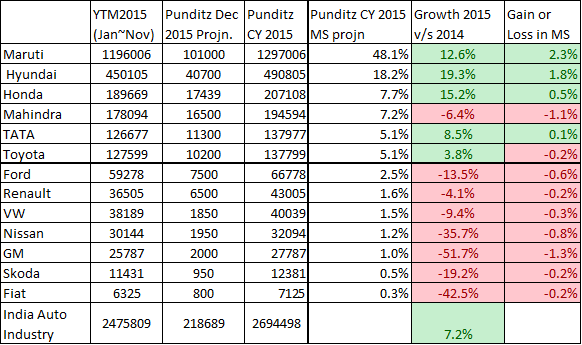 Ford – The only product in the portfolio which had a month-on-month growth was Ecosport! The newbies (Aspire and Figo) are already struggling to provide steady volumes. It is saddening to see Tata’s most capable product – Zest’s decline in numbers. We otherwise have tremendous expectations from Zica – will this pull Tata out of the debacle? We also share our concerns with the recent Chennai flood. Not only the Detroit of India has seen irrevocable damages in the past few days, the Automotive Manufacturing Plants in the area will take quite some time to recover. We pray for speedy recovery of the city and also salute the spirit of Chennai in these tough times. Indian market has evolved unexpectedly and OEMs are finding it difficult to plan their product portfolio citing the change in consumer mindset and difficulty in identifying the trends. We had coined the term ‘UV’ology in 2012 seeing the impressive growth of the segment and the influx of new models to cash in the phenomena (say Ertiga, Duster, Ecosport XUV etc). However, the trend slowed down in the UV’s and Indian consumers focus shifted to other segments. – It is one of the fastest growing segment in 2015: The segment grew astounding 276% in year 2015 v/s 2009. Also the growth was 96% in 2015 when compared to 2014. – The Big 3 of the Indian Automotive Space (Maruti, Hyundai & Honda) now have a competitive product in the segment and will define their growth prospective ahead. – Percentage contribution of these models to their respective OEMs – Ex: i20 Elite+Active contributes to over 28% of Hyundai’s sales in India! The story is similar for Jazz as well where the model currently forms over 25% of Honda’s sales. Hyundai i20 remains the undisputed leader in the segment and in a way has defined the segment itself. Many players jumped into the premium hatch space, but were unable to catch the fancy of the Indian Buyer – Jazz & Punto saw initial positive response, however couldn’t gain the expected volumes. While the previous generation Jazz was discontinued in July 2013, even Punto faced issues crossing the >500 sales mark. * Hyundai was again a pioneer in the segment – It had launched Getz way back in 2004 and had to stop its production owing to poor sales in 2010 (it was refreshed as Getz Prime in 2007). The response for Getz wasn’t encouraging – however, it did not stop Hyundai to explore and launch first gen i20 in 2008 which proved to be an excellent decision and elevate Hyundai into the premium category. Even biggies like Honda were not able to make any effect with previous Jazz in the segment. * Honda understood that it had lost a valuable pie in the premium hatch category due to hefty pricing of Jazz, which otherwise would have helped the Japanese major to gain volumes in the tough times (2009-2012). However, Honda realized its mistake and bought in the new Jazz with diesel engine option and announced an aggressive price with it. The car has seen assuring response and looks forward to grow even stronger in coming days. Polo remains VW’s most successful product in its portfolio which highlights the response of the segment’s customer. Though the sales of Polo has varied over years, VW recognizes that a fresh update can renew sales to newer heights. * The aforementioned reasons made India’s no.1 carmaker to enter the segment with its latest offering Baleno and also market it through a new channel – Nexa to deliver the premium message with the offering. We expect the segment to deliver similar growth in coming time and do not be surprised to see other OEMs jump in this bandwagon. Baleno & Jazz again have a lot riding on their shoulders to define their respective OEMs performance in India. * South India contributes to over 28% of the overall National Sales Volumes! * Bangalore, Hyderabad, Chennai and Kochi – 4 cities from South rank in Top 10 car selling cities in India (source). * The contribution of the states in South India is very similar – Karnataka stands highest and contributes to 27% of South’s sales, Kerala @ 26%, TN @ 25% and AP+Telangana @ 22%. 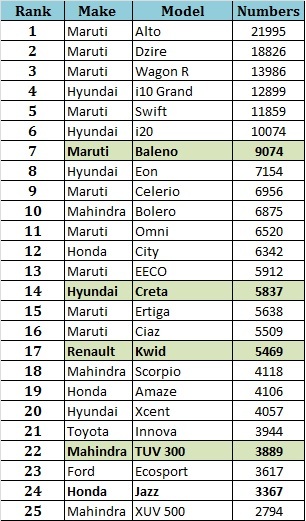 > While the Top 3 selling cars predominantly remain from the Maruti stable – Do see how Dzire easily takes the TOP slot in multiple markets. Also to be considered – Swift ranks no.1 in markets such as Cochin, Mangalore and Bangalore! > City’s sales is higher than Grand i10, Indica and i20 sales in TN. 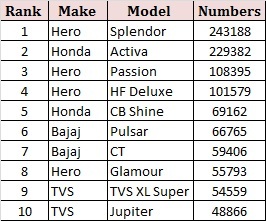 > Bolero, which is India’s best selling SUV is absent in the aforementioned rankings (except Coimbatore) – low brand equity for the SUV in South? Also, only XUV 500 remains the only other Mahindra product to feature in the Top 10 ranking (ranked 10th in Cochin). > No. 4 rank is a surprise in many markets – Indica ranks 4th in Hyderabad, Grand i10 for AP+Telangana, Alto in Chennai, City in Coimbatore, Celerio in Calicut. > Innova’s sales in South is highest amongst all 4 Zones (South/North/East/West). South contributes to 38% of National Innova sales. Case is similar to Etios as well – South contributes to over 53% of overall Etios sales! – Baleno makes an entry in Top 10 figures of Vizag, Cochin, Calicut, Coimbatore & Mangalore. It has even surpassed i20 sales in many markets as well! – South contributed to over 30% of Kwid’s sales – effect seen in multiple city statistics of South. – Ford’s Figo and Aspire makes an entry in the Top10 slot in many markets! No wonder many new OEMs entering the Indian market are finding it difficult to decode the success mantra! Do note that only Maruti has been able to consistently perform in ALL markets and is hence the Market Leader. — Dzire continues its dream run and crossed 20k figure for the third time in past 5 months! We have never seen a brand grow such rapidly at this stage of product cycle. Dzire is surely desired quite highly by Indian consumers and is breaking sales records consistently. With this pace, it would in meantime dethrone Alto from the top slot. Also to be noted is Eeco’s performance – which crosses 6k units after 36 months! We still wonder where these many Eeco’s go? Swift and Ritz deliver as usual. 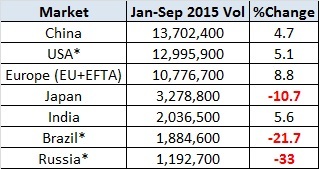 More important is the volumes Maruti is gaining through NEXA – S-Cross & Baleno together post 7246 nos offtake. With mere 100 outlets, 7246 units is very respectable and its contribution to parent company volumes is admirable as well. Seeing Baleno’s response and Maruti’s hold on the market; we expect the numbers to go even stronger in future. — Hyundai is leaving no stone unturned to improve its market share in India and now has the right set of products infused in almost ALL segments. Eon & i10(entry-level hatchback), Grand i10 (hatchback), Elite i20 (premium hatchback), Xcent (Compact Sedan), Verna (C-segment Sedan), Elantra (D-segment sedan), Creta (Crossover SUV), Santa Fe (premium SUV). Only MUV is not being catered to currently. Grand i10 crosses 14k mark for the first time and and stands only 3.5k units short of the segment leader Swift! — Mahindra makes a strong comeback into the third position. TUV300 maintains its 4.5k mark and contributes decently to the Indian SUV major. Happy to see Bolero cross 7k figures after 4 months – it is imperative for M&M to inhibit cannibalization of Bolero from TUV and vice-versa. XUV 5 double ohh also joins the party by having its best offtake performance of past 35 months! — Honda impresses with YoY growth (52.29%), however loses its third position to Mahindra. City & Amaze makes into the top 10 selling cars list. Jazz now seems to stabilize at ~4.5k units and we expect similar volumes ahead as well. — Ford crosses 10k mark for the first time after Sep’2013! Ford now has the right arsenal in its army and its time for it to conquer its territory. Detailed Model-wise report will be shared shortly. China still manages as the Biggest Car market in the world and is clearly ahead of US. Also to note is that India has the second best YoY growth (after EU+EFTA) and makes it an important destination for car makers. We wouldn’t be surprised to see India overtake Japan in overall sales within next 3 years. But the gap to cover by the Indian market seems phenomenal (Chinese market is still six times bigger than that of the sub-continent). Also the Indian market is stunted with single digit growth for quite some time now. We expect the 2016 Auto Expo the change the course and the focus in bringing updated products will help the industry gain a strong leap forward. 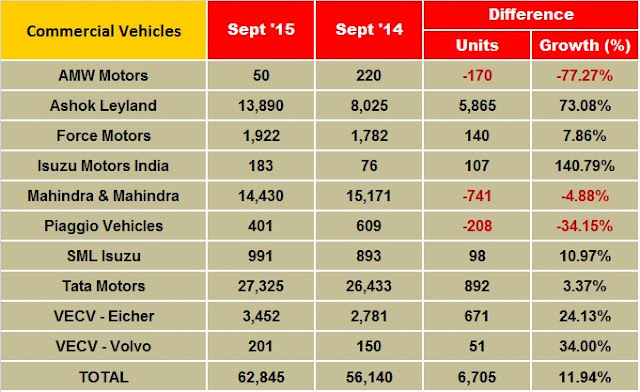 *US, Brazil & Russia sales include Light vehicles. Management Punditz yet strives to diversify the Sales Data availability for the automobile industry. 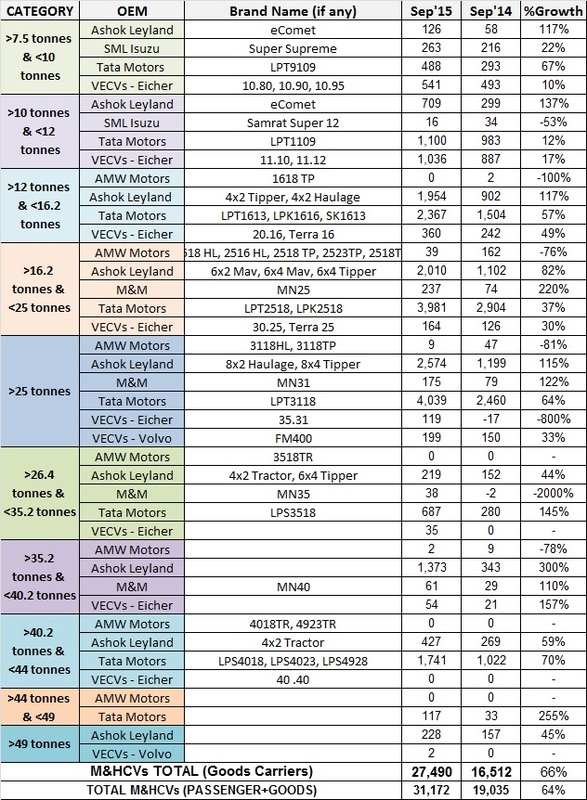 In the aforementioned endeavor, we present the September 2015 Offtake data (sale from OEM to dealership) for Commercial Vehicles and categorized in M&HCVs and LCVs. 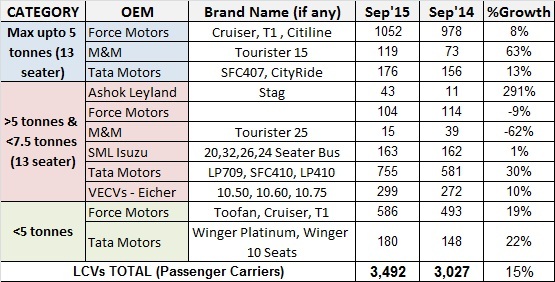 Each category has been sub-divided to Passenger segment & Load Carrier Segment for clarity.